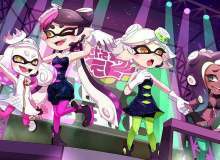 Im dying because i want the Amiibos for Callie, Marie, Pearl, Marina, and more characters. Also Splat Tim is a deformed inkling! SO YEAH! DEAL WITH IT! First off, Whats your favorite color? No, I like my short hair with bangs! Who do you wanna get? Does your hair move on its own? Oh hi my name (insert name here) and also you might wanna look out because tenta missles are about to kill you! I REALLY DONT CARE! OHOH OH I REALLY DONT CARE!